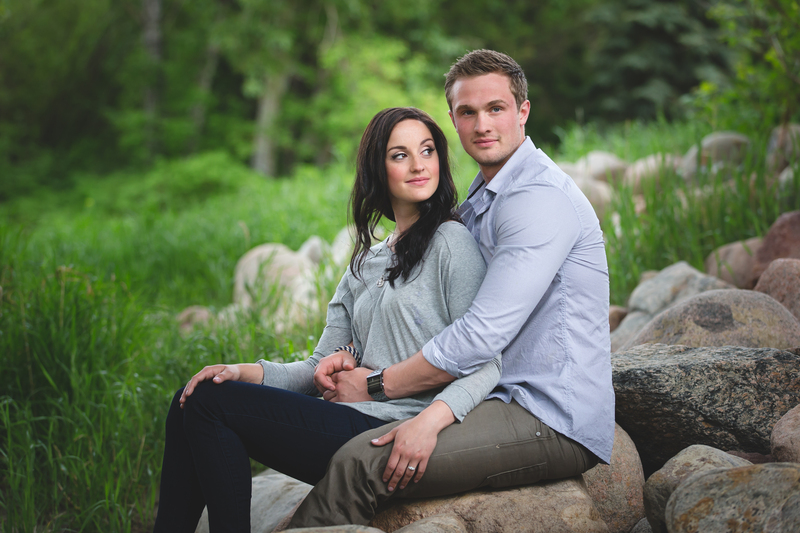 Kelsa & Shane are getting married in Edmonton this November and Sarah & I can’t wait to photograph their wedding. 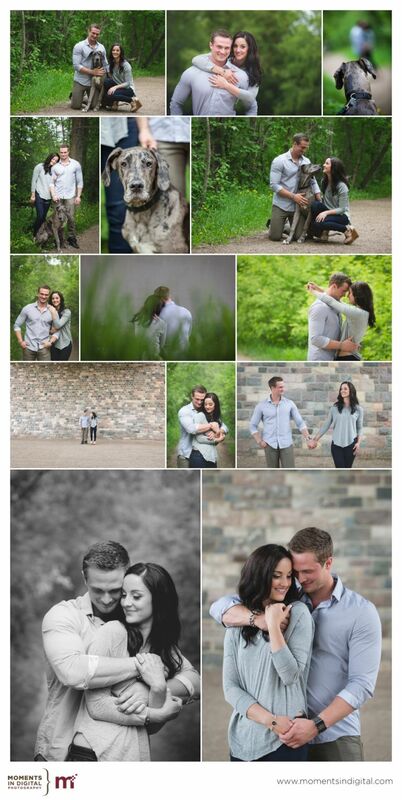 We met up with them a few weeks ago to photograph their engagement session in the River Valley.Â Sarah and I are both dog lovers andÂ we’re so happy that a number of our clients this year decided to incorporate their fur babies into their engagements sessions. Kelsa & Shane brought their Great Dane puppy Blue with them to their shoot and we had fun working with the three of them to capture some great photographs. Here is a sneak peek of a few of our favourite images.